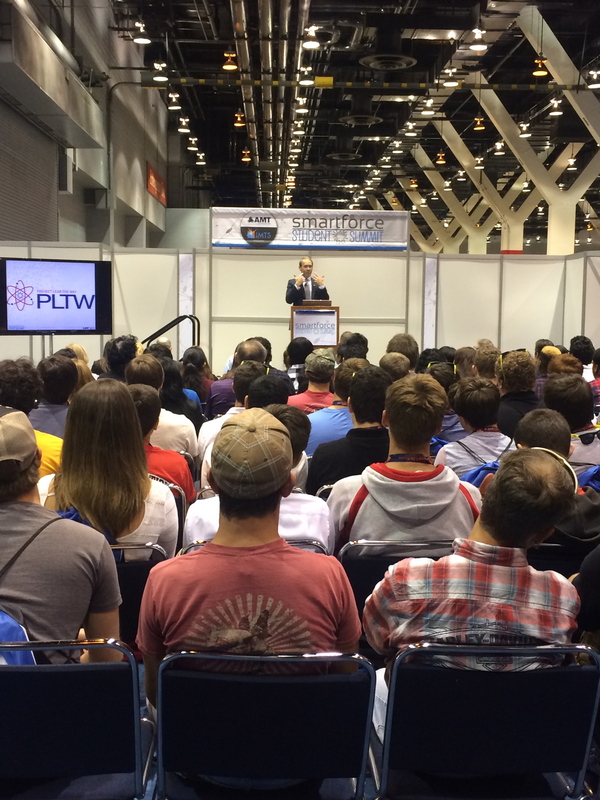 This morning we were incredibly lucky to have Dr. Vince Bertram of “Project Lead the Way” join us as the first keynote speaker of the IMTS Smartforce Student Summit. Dr. Bertram, an inspiring speaker and educator, spoke to this morning’s students about the vast opportunities available, and how to pursue them. Lastly, Dr. Bertram reminded students that they all have someone who cares about them and their dedication to pursuing their dreams– their teachers. We couldn’t agree more, and we thank all the educators, including Dr. Bertram, who took the time out of their busy schedules to be with us this week!